The Enfield Talking Newspaper was the first organisation of its kind to be founded in the UK, in May 1961. We celebrated our 50th anniversary in 2011 and are proud that some of our founding members are still active volunteers with the charity. 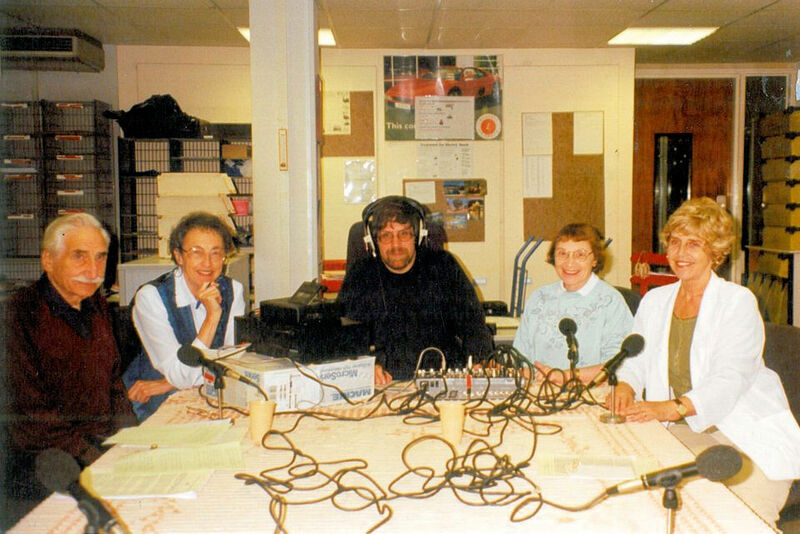 We are also proud of the fact that from our earliest days we have always had a high degree of listener involvement in the management and organization of our charity, with blind and partially sighted people assisting in the recording and production of our weekly broadcast. 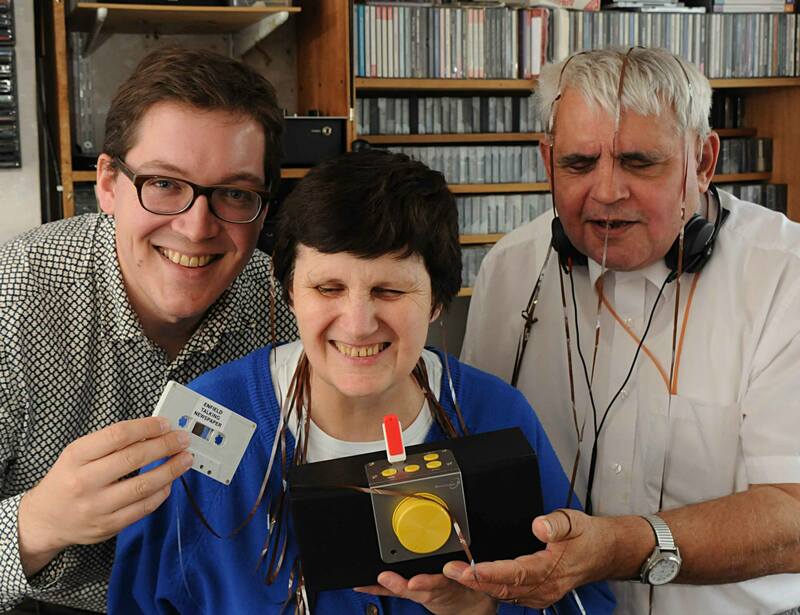 The idea for a Talking Newspaper for the Blind came from the local branch of Toc-H who were concerned that a number of their members who were blind and partially sighted were missing out on important information about local events and news in the local newspapers. They started the Talking Newspaper in May 1961 and ran the scheme for about eighteen months, visiting twelve blind people in their homes with reel-to-reel recorders, transported across the borough on the back of a push bike! 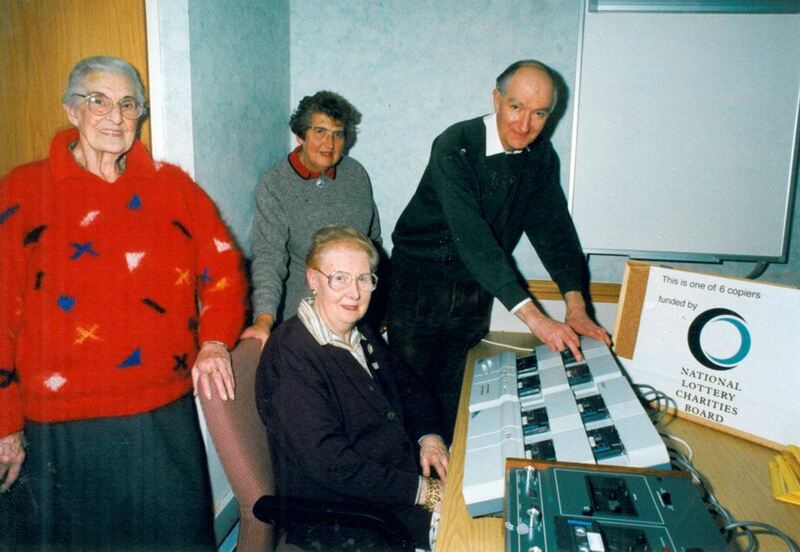 They cycled to each listener in turn and, every two weeks, recorded a new tape. As demand grew, Toc-H asked the North London Tape Club if they could take over the running of the production and distribution. The number of listeners increased to thirty. In 1976, the Tape Club committee producing the Enfield Microphone, as the recording was now called, decided the time had come for the organisation to stand on its own feet. A committee was formed, funds were applied for to purchase cassettes, recorders and a high speed copier. The Enfield Talking Newspaper was founded as a charity later that year and has gone from strength to strength. We celebrated our 21st Anniversary in May and clocked up our 500th Edition on 18th September 1982. Listen to the recording and other archive recordings over on our YouTube Channel. We clocked up our 1,000th Edition on 8th December 1994. Listen to an extract from our 1,000th edition and other archive recordings over on our YouTube Channel. In 1997 we received a lottery grant to buy new speed copiers, to replace those bought in 1976. We left our home in the basement of the First National Bank in Southbury Road, when the bank was sold to another company. We were grateful to the generosity of the staff at NatWest, then First National for accommodating us for so many years. We were given three days notice to remove all our equipment which caused the first unplanned break in our weekly broadcasting for 40 years - a fact which was covered in our local newspapers. 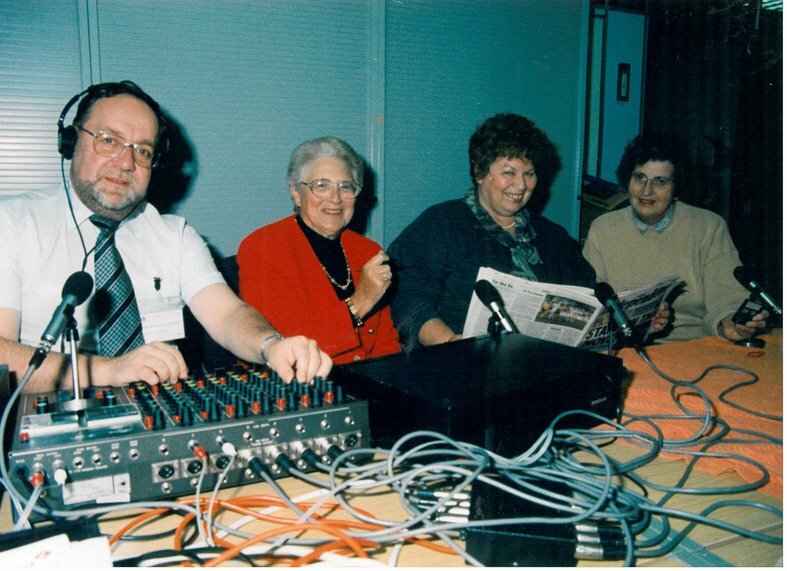 For most of 2000 we broadcast from volunteers homes each week, which meant moving our equipment from one house to the next - much like our early days! Here's a recording of our first edition after the move, in which Audrey explains what happened. 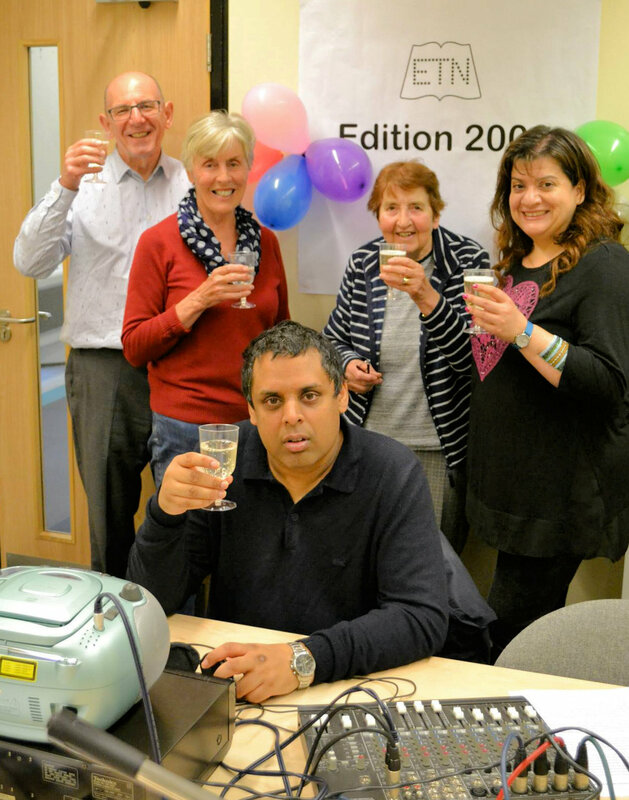 Thanks to the intervention of the late Cllr Pamela Adams, a long time supporter of the Talking Newspaper and other charities for the blind and partially sighted in Enfield, we were able to move to new accommodation, using council buildings ‘out of hours’. Due to the amount of equipment we had we could not fit everything into one room, so our team was split up, with recordings taking place in a small room in the Civic Centre on Thursday evenings and the Production Team working from the basement of Community House in Edmonton on Friday evenings. 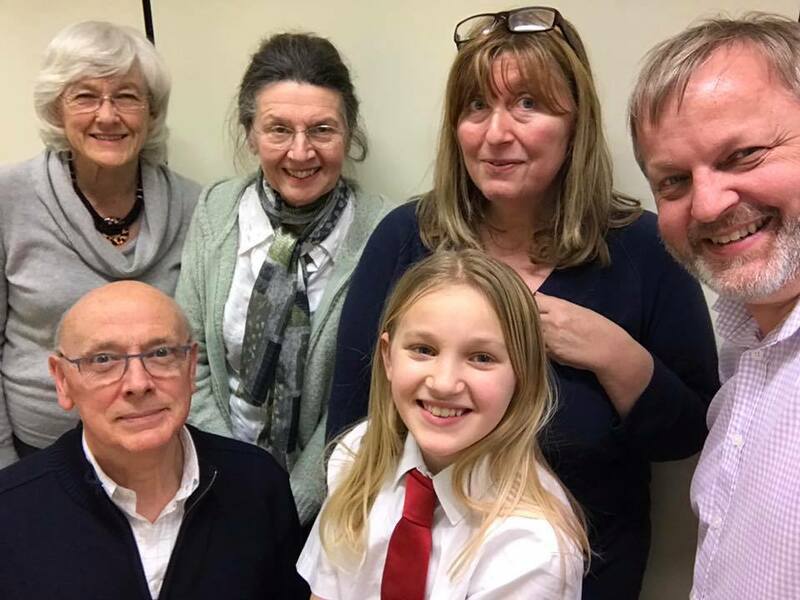 This recording was our first in our new home, introduced by Tessa - in which we also learn that Joanne Riden MBE (known to us as JR) received an MBE. JR was the Production Team Co-ordinator for ETN for over 25 years. 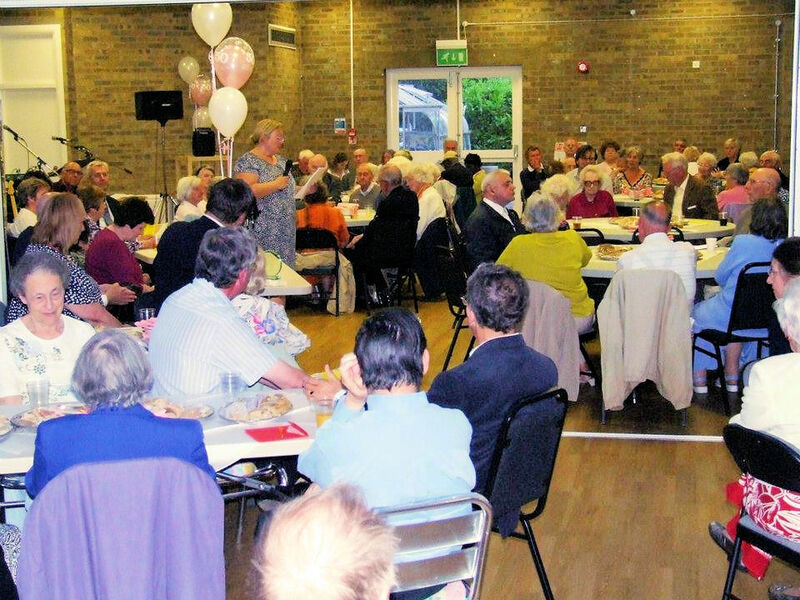 In 2011 we celebrated our 50th Anniversary with a huge party at the Park Avenue Disability Centre. In 2015 we went digital! We switched production from tape to MP3 memory sticks. 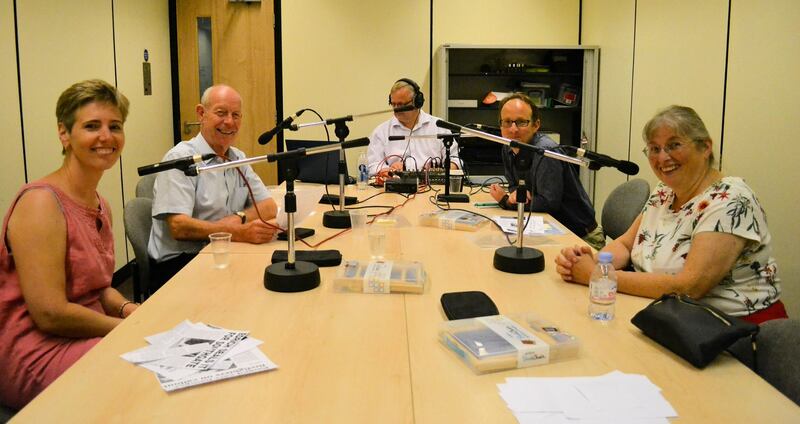 On Thursday 14th May 2015 we recorded our 2000th Edition! Listen to our recording over on our You Tube Channel. Today ETN is run by over 35 dedicated volunteers each contributing a few hours a week. Why not come and join us as a volunteer?